This entry was posted in Encouragement and tagged assurance, bible, Blessings, Christianity, daily bread, foundation, God, Heavenly host, helping people, home with the King, humble attitude, Jesus, Living Well, Lord, love, peace through the storms, peculiar people, Potter, Praise the Lord, prayer, presence of God, Psalm, Psalm 84, righteousness, salvation, Selah, The Refiner, throne of the Lord, winning souls. Bookmark the permalink. God bless your soul! I wanted to shout myself as I was typing. A dance is in my feet and praises are in my mouth for the both of us! Hope that helps! The fire is stirring deep within me. The Spirit is moving praise the Lord! Amen! May your day continue to be blessed sis! 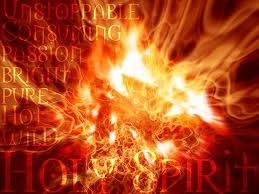 The warmth and fire you have received from sitting with the Lord this morning is giving me kindling for my soul! Thank you, sister, for this beautiful, encouraging reminder! You are a fountain and praise, truth and love are flowing freely from within you. God bless you abundantly for this. One thought: God is telling me to leave the crowd of noisy evildoers behind – not to listen to the lies of the enemy but to remove that heavy burden (Ps. 64:2). God has removed that burdensome yoke and given us Jesus’ light, easy yoke (Ps. 81:6, Matt. 11:28-30). I am so thankful!! I like how you called it “wearing the old man”. That is dead weight. Let’s not pick it up any more!! The old is gone; the new has come! Hallelujah! All praises to you, Lord! Free us from old burdens, so we can dance, sing and shout – living in the freedom we have in you!! Thank you, God! You are good. Your love endures forever!! 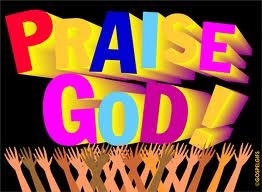 Praises toward the heavens glorifying our Father! Hallelujah!! Amen. Amen! Thank you for the warm and encouraging words my sister! It’s the Blood of Jesus running through my veins this morning! Thank you for the thought and scriptures! You are right. I thank the Lord for removing the burdensome yoke and making it light. Yes yes yes to the dead weight, why carry it when we have been giving the new man?!! Thank you Jesus! God bless you for sharing! I continuously thank Him for using me as a vessel to share and encourage you all! His love endures forever!! Hallelujah! Great post! Definitely makes you think about putting on the “Garment of Praise!” God bless you! Absolutely wonderful post! I love your encouragement to stay in the Word and speak it over your life. Very uplifting for anyone who stops in. Great early morning read. Thank you for sharing. Good morning Liz! Thank you for the wonderful comment. I appreciate it! 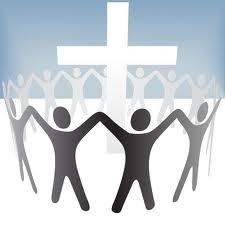 God blesses me as I am encouraged to encourage others. How thankful I am to be such a vessel. May your day be richly blessed and prosperous in the name of Christ Jesus…. Hi Terra what a wonderful uplifting and encouraging message from your heart and very much needed. We will all go through the storms in Life they are part of life but as you said as God’s Children we don’t walk alone. We have Him and the Body of Christ… thank you for holding up the umbrella ( prayer) as I experienced a violent storm in my life, I would like to share also the Scripture God gave me to hold onto as the water started to rise and I feared drowning. Thank you, my faithful blogging friend – Christian Love Anne. Thank you for sharing your thoughts as well as the scriptures. God bless you my friend. You have battled some storms and I keep you lifted up in prayer. I thank God that he has sustained you through your storms. His strength is with you. Keep encouraging yourself and stand strong and courageous. He is with you always..
Hello Terra! Great post! It has the spirit of prophetic praise in it…keep on doing what you’re doing, many lives will be changed! May the Lord continue to use you! Hi Sebastian! Thank you so much for the encouragement. I pray that the Lord continues to use me. I want to be a mouthpiece walking this earth lifting up others and encouraging them in the Lord. May many draw closer to Him as well as surrendering their life all together through repentance and salvation. How I love being a vessel. All I am, all credit given is to God. Bless you with the love of the Father, Son and Holy Spirit. Hi Maryanne 🙂 I don’t know how I missed your comment but in case I did reply on your page….. Thank You for your generosity of heart and nomination. 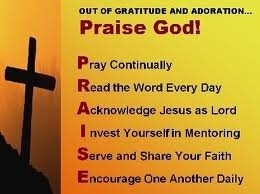 Praise be to the Lord each and every day. God bless you! For a day in Your courts is better than a thousand [anywhere else]; I would rather be a doorkeeper and stand at the threshold in the house of my God than to dwell [at ease] in the tents of wickedness. Hallelujah! Hallelujah! Thank you! Inspiring and provocative as always.